I have sponsored Richard since he was 8 years old. I look forward to hearing from him and save all his letters and photos. Richard is now in university! Being a sponsor. 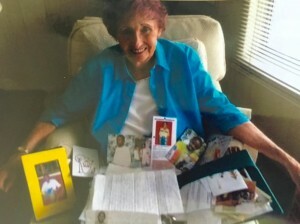 I suppose for some it could mean just a check mailed each month, a check marked off on a to do list, a good deed done. It could be any or all of those things. For me, it is not. It is my hearts desire. It is who I am, a Mom, someone whose heart leaps for joy and longs at the opportunity to love on kids, whether a world away or those across the street. Being able to sponsor at Taraja, is not a ‘to do’, it is what the love and desire of my heart insist I do. The best part of this relationship is knowing that there is a direct connection to these boys, Teresa and How101 spend several weeks a year in Kenya and Uganda with these children getting to know them, see their needs, their progress and how God is working in their lives. She is then able to let me exactly who my sponsor son is- his personality, likes, interest and needs. I am honored to be a part of how101 and blessed to be able to help my sponsor son Alfred. I say sponsor son, because I love and pray for him as a son and as a mom would. Alfred is my second sponsor son, but surely not the last. George Ssebagala and I were brought together in 2009. He was just 6 years old and wanted to go to school. I was struck by his huge smile and big ambitions and heart as I reviewed those children available to sponsor under the Starfish Programme. On that day, George and I made a commitment to each other. For me, it was an emotional and financial pact: I will love you as I love my own children and I will support you with school fees so that you can attain your dreams. 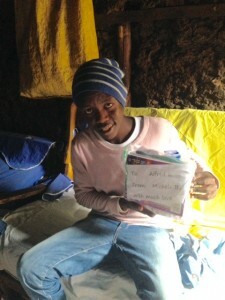 As for George, he had to do his best in school and send me notes of his progress several times a year. As the years went by and the progress reports kept coming, I thought of him daily; I prayed for him daily. My huge dream was to meet and get to know him. 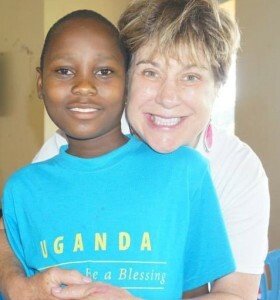 Finally, this year – May 2015, I went to Uganda to meet my Ugandan son, George!